More than in any other of the post-genocide societies of the twentieth century, perpetrators and survivors in Rwanda have to manage to live together at close quarters. Hardly anyone could escape being implicated, either on the side of the perpetrators or on the side of the victims during the period of the genocide. Now in 2006, most people still have nowhere else to live than in the very villages, hillsides and cities, the houses, even the rooms, where the events took place. Survivors shared with the perpetrators, killers with their victims. “Healing” of post-genocide wounds is high on the agenda of each Rwandan, or else it might give rise to further spirals of violence. This regional program seeks to expand La Benevolencija activities in both geographical and thematic scopes. The rationale for a regional approach is quite plain. 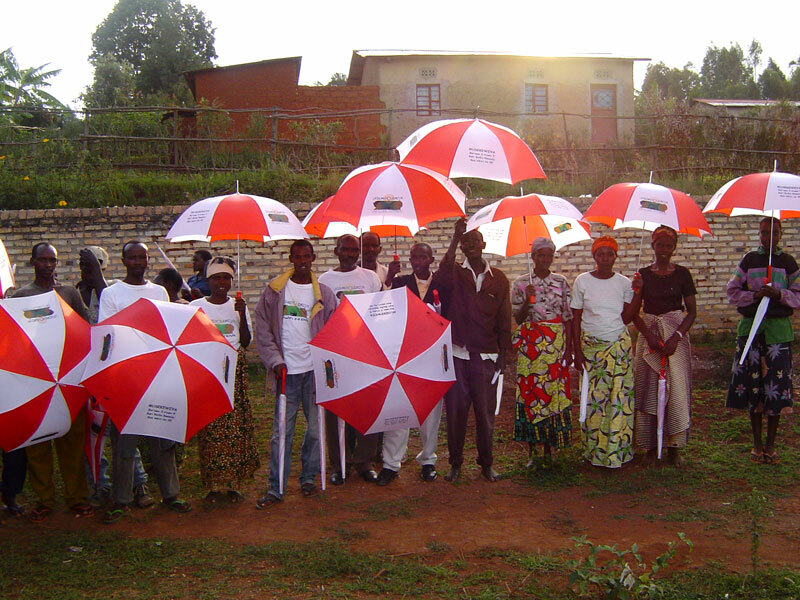 The first Benevolencija program has been developed exclusively in Rwanda due to the massive impact of the genocide on the regions stability. The most compelling factor “to go regional” is that in the ‘quest for peace’, neighbouring countries like Burundi and the DRC all play a crucial and important role. If a culture of peace is to be achieved, it must be regional in order to succeed. For the last 40 years the Great Lakes region, which is one of the most densely populated areas of the world with an estimated population of 107 million, has never known enduring peace and stability. From 1960s to the 1980s sporadic violence was recurrent in each of the countries that form the region which is comprised of Burundi, the eastern part of the Democratic Republic of Congo, Rwanda, the western part of Tanzania, the southern part of Uganda and portions of Kenya. From 1990 the situation worsened. The area witnessed a genocide that took close to a million lives in 1994 in Rwanda , rebellions and repressions that killed more than 350,000 people in Burundi between 1993 and 2004, and civil wars and foreign invasions that caused directly or indirectly the death of around 3.5 million people in the Democratic Republic of Congo. This immense violence has left most people traumatized and their unhealed wounds may fuel further cycles of violence. The violence and continuous unrest fuels the currently fashionable attitude of "Afro-pessimism" that is shared by the public and by certain intellectuals. These intellectuals have no qualms about asking whether the Great Lakes region has any true capacity for progress. Some go as far to suggest that "this region is cursed". Optimism may be difficult in the face of recent events, but against every regional peace and reconciliation sign that points to danger, there are signs of hope within the area’s civil society and in recent political undertakings of the regional powers. Positive trends, upon which, this program intends to build. In the current environment, La Benevolencija’s campaign supports a democratic environment by educating the population to resist incitement, to consume news and media with a critical eye. This engenders a constructive discours and more trust by leaders towards their population. In addition, the campaign promotes active bystandership, encouraging the population to stand up in the face of incitement and to protest against wrongdoings in the name of hate, helping to stop the spiraling of violence. The campaign hopes to foster a manipulation-resistant audience that supports a climate of conducive healing, and by doing so, improve the chances of true and genuine reconciliation with respect for constructive civic dialogue and human rights. The “Great Lakes Reconciliation radio” also has special relevance for regional efforts to support justice. 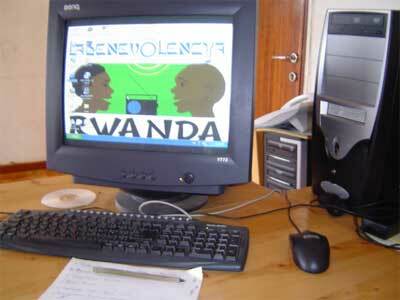 Rwanda ’s singular innovation among the forms of international and transitional justice, called “Gacaca”, is an example. La Benevolencija focuses on supporting the participants in this unique initiative, coupled with the professional know-how to create here a groundbreaking and sustainable process that promotes trauma healing and a violence prevention campaign. More specifically, the justice support programs aim to bolster the justice and reconciliation process through edutainment that helps the audience cope with and address resurfacing trauma causes of instigatory actions and the passive bystandership that allows it to take place. In post-conflict Burundi and in the DRC there will be a need to support the participants in an appropriate justice system to be designed and to address the fears that leads people to commit crimes against humanity. 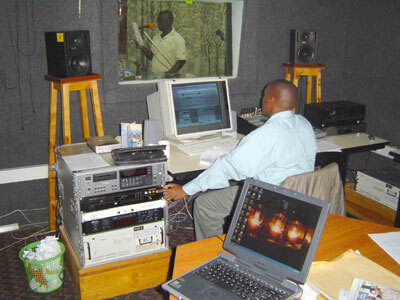 The “Great Lakes Reconciliation Radio” aims to widen the scope of the communication campaign to include support for the participants in the Rwandan Gacaca Jurisdictions and for public dialogues on topics related to resurfacing trauma, trauma induced instigatory actions and the promotion of active bystandership in the DRC and Burundi as they strive to develop mechanisms for justice in their post-conflict societies. In addition, La Benevolencija will counteract the role of hate media, by developing material that sensitizes the population of all three countries to resist mass-media manipulation and to focus on unbiased treatment of and critical reading of information. 1. Difficult social/life conditions lead to the frustration of basis psychological needs of individuals which drive them to seek security. These difficult life conditions can be economic problems, political disorganisation, and intense conflict between groups or great societal change. 2. In response to such social conditions, individuals turn to a group for security. The group will give them a feeling of identity, the feeling of connection to other people and especially the feeling of physical and psychological safety. 3. The group coalesces around a core of leaders and in certain cases the leaders who provide a ready solution that leads to a better future take over the leadership. 4. The group identifies another group as enemies (scapegoating) who are an obstacle to achieving this better future. The group gradually learns to devalue the scapegoated group. 5. As perpetrators begin to harm the other group, spiritually and physically, they justify their actions by seeing the other in a more and more negative way. In the end, the devaluation of the others can become so intense that eliminating them is seen as a moral thing and the right thing to do. Physical abuses lead to more physical abuses (learning by doing). There are a number of characteristics in a culture or society that make it likely that when such scapegoated enemies groups begin to be harmed, this leads to an evolution that can end in extreme violence and genocide. 6. A past history for devaluation of the scapegoated group, which is part of its culture. The group has suffered and is traumatised. This resulted in unhealed psychological and social wounds that are left and the world looks like a dangerous place and makes it likely that the group strikes out in the face of new threats. The group believes that they need to defend themselves. 7. Overly strong respect for authority, so that leaders, who often are the vanguard in scapegoating and creating a destructive ideology, are not questioned. Having a monolithic society with lack of pluralism so that different views cannot or will not be expressed, including opposition to this destructive ideology and the harming done to the other group. 8. The presence of war with the attendant feelings of insecurity when combined with these other factors is another element that increases the likelihood of mass violence and genocide. Both the victims (survivors) of the scapegoat group and the perpetrators are left as traumatised part of the population, who may be pushed to commit violence in turn. 9. The role of bystanders (members of the population outside the group) is crucial. Their passivity reinforces the harm doing of perpetrator group members and makes them believe that what they are doing is acceptable, even right. Passive bystanders distance themselves from the victimised group/individuals to reduce their own empathic suffering. 10. Groups need an understanding to enable themselves to take preventive action. They can work to overcome devaluation and to reconcile and mutually accept each other. 11. They can work on healing themselves. As a group, they can work on creating a society with appropriate, moderate respect for authority and with practices of open discussion of pluralism, which also makes it more likely that bystanders will be active. 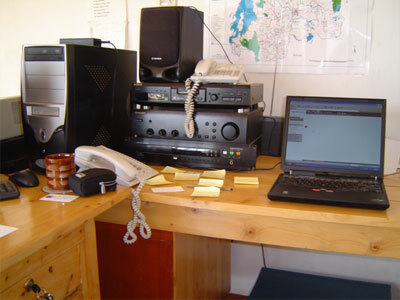 “Great Lakes Reconciliation Radio” is a prototype project. The idea for it was conceived outside the Great Lakes, during the Bosnian war, by media professionals working for La Benevolencija, a Sarajevo based NGO, composed of local Jews who enjoyed a neutral status in the conflict and exercised a solidarity and mutual help alliance to help empower their persecuted neighbors. 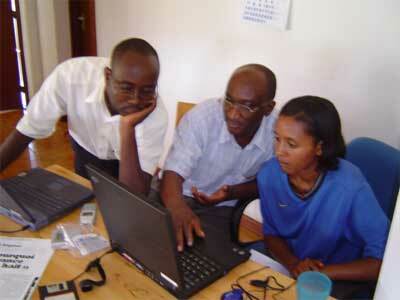 The Great Lakes project became a possibility only years later, in Rwanda , through the invitation of the project psychologists, Professor Ervin Staub and Dr. Laurie Pearlman to this country by Charles Murigande, then-chairman of the RPF, then-justice minister Jean de Dieu Mucyo and then-Head of the NURC Aloysea Inyumba in 1999. Professor Staub is one of today’s most eminent genocide scholars and behavioral psychologists who’s systematic comparison of genocides around the world have resulted in a “simple to grasp vocabulary” of steps and elements that lead to violence, as well as a systemic approach of how to counteract this (see continuum of violence/destruction). His colleague, Dr. Pearlman teaches the RICH community-based trauma healing approach in tandem with Staub’s principles. Stichting Radio La Benevolencija (Humanitarian Tools Foundation) was founded by a group of experienced media producers and criminologists backed by a board of engaged and internationally known Dutch civil society members such as Jan ter Laak and Avraham Soetendorp. 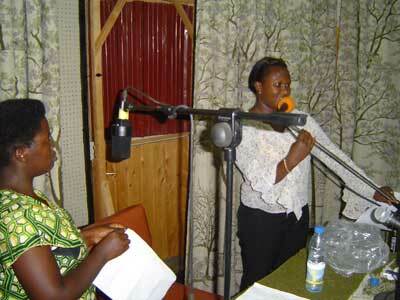 The aim was to provide a vessel for the know how of top media professionals to serve humanitarian purposes. Thus a blueprint is evolved and evaluated, of use in similar situations elsewhere. Other projects instituted at the moment are in Bosnia , in Amsterdam and at pan-European level, all using this blueprint. Serial Radio Drama : Conception, Production and Broadcasting of enter-educate serial drama on national and private radio stations. 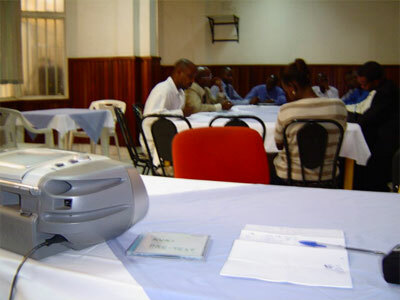 Public Debate Programs : Conception, Production and Broadcasting of public discussion debate programs on the “roots of evil” or the origins of group and mass violence as been explained in the continuum of violence/destruction, to empower people to use to know-how effectively in their day-to-day lives. Listening Groups and Grassroots activities : Set up of a network of representative (for the whole population) listener groups to act as feedback-soundboard as well as grass roots supporters of the project in the field. 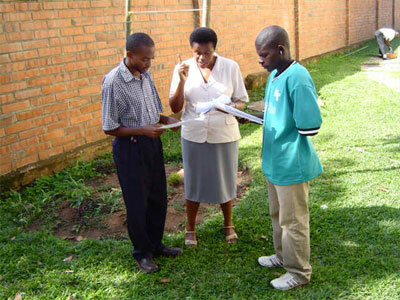 Impact Evaluation : Academic research, baseline studies, as well as adapted impact measurement techniques developed to achieve a maximum of results in healing the enormous psychological and social damage created by the genocide in Rwanda and the civil wars in Burundi and Eastern DRC.